This goes out to everyone who struggles with trusting their gut and believing in themselves. There are times when you just KNOW what to do, but many more times when you feel so confused and you worry about giving in to the fear again. What to do when you’re feeling unsure of yourself? 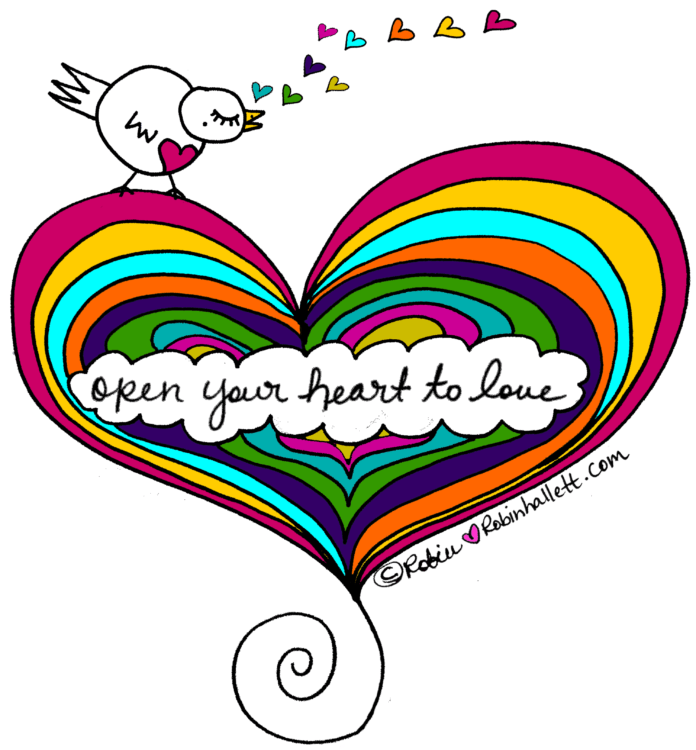 You open your heart to love. Sounds like there are two parts of you duking it out on your insides: a false self that wants to please people and do what they think is best, and your authentic self who is the real you, even though sometimes it feels like that you is someone you are still trying to meet. Getting to know just who that authentic self is will be a lifelong journey. You do not have to know right this minute. Nobody is going to quiz you and fail you for not having the right answer. You get to unravel this delicious mystery day by day. Enjoy getting to know the real you. Have fun with it! You are not your story–you are not who or what “they” say you are. You aren’t in trouble. You aren’t doing it wrong. And, you’re not someone who gets punished because you didn’t follow the rules. It takes courage to believe this. But I know you can do it. I learned how to believe in this and I know you can too. Whenever you wonder if the “real you” is standing up just now, check in with your gut. Your belly will never steer you wrong. There are subtle clues which always tell you who the real you is – and if you really don’t know, go back to the basics – what do you love to eat? What’s your favorite color? What is your favorite way to enjoy nature? Watch a sunset? These kinds of questions lead you to the sensations in the body which are uniquely yours. When you are connected to your truest self, you feel this way most of the time. You are a spark of the Divine. You are a child of God. (Yes, I said the G word). You’re more than your earthly credentials. And, you’ve got a direct line to that place from where we all came. It’s right in your heart. Spend a little time making the connection. Let the love in. Do it for a few minutes every day. Perfect love casts out fear. Every time. You gotta’ do the practice if you want to help yourself. A few minutes every day helps build up the muscle. As to the fear you have of whether or not you will cave in to their demands… I say: let’s find out! Take a chance and stay present with what is happening in your body as you make your way. Learn to have gratitude for these situations which bring stuff like this up so you can learn and grow more fully into the gorgeous soul you truly are. Make it a practice to observe your feelings, especially the discomfort you have. The more you can sit with what the discomfort is, and not need to fix it or fade it–just let it be there–the better you will know yourself. In doing so you learn to acknowledge your fear without obeying it. So perhaps this time you will not cave 🙂 YAY! Every time you make a connection, a little more light enters the dark places. May this support you in all the amazing ways. ⟵How to Remember You Are Spirit When Everything Feels like It’s Going Wrong.